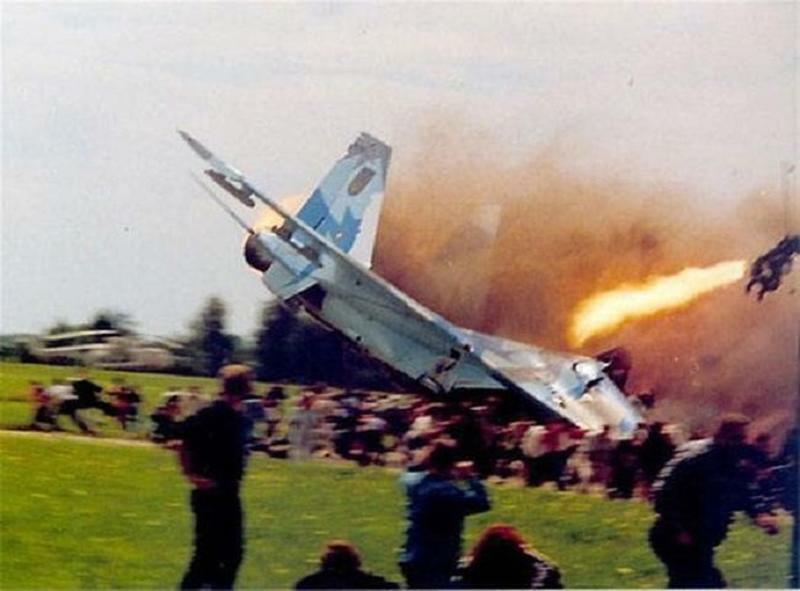 Two pilots ejected just in the nick of time at the Sknyliv Airshow in Ukraine back in 2002, however 77 spectators were killed and nearly 543 were injured on the ground. Although both pilots were experienced, they made the mistake of entering a rolling maneuver with a downward trajectory at a very low altitude. Their left wing struck the ground and the plane skidded for several feet. Three years later, a military court sentenced one pilot to fourteen years in prison and the other to eight for their negligence during the incident.